Dumping diagnostic data in directory=[cdmp_20160403210946], requested by (instance=1, osid=23188), summary=[incident=2108431]. File #13 found in data dictionary but not in controlfile. Creating OFFLINE file 'MISSING00013' in the controlfile. File #14 found in data dictionary but not in controlfile. Creating OFFLINE file 'MISSING00014' in the controlfile. File #15 found in data dictionary but not in controlfile. Creating OFFLINE file 'MISSING00015' in the controlfile. File #16 found in data dictionary but not in controlfile. Creating OFFLINE file 'MISSING00016' in the controlfile. File #17 found in data dictionary but not in controlfile. Creating OFFLINE file 'MISSING00017' in the controlfile. File #18 found in data dictionary but not in controlfile. Creating OFFLINE file 'MISSING00018' in the controlfile. File #19 found in data dictionary but not in controlfile. Creating OFFLINE file 'MISSING00019' in the controlfile. 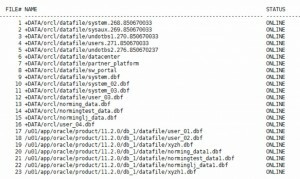 File #20 found in data dictionary but not in controlfile. Creating OFFLINE file 'MISSING00020' in the controlfile. File #21 found in data dictionary but not in controlfile. Creating OFFLINE file 'MISSING00021' in the controlfile. 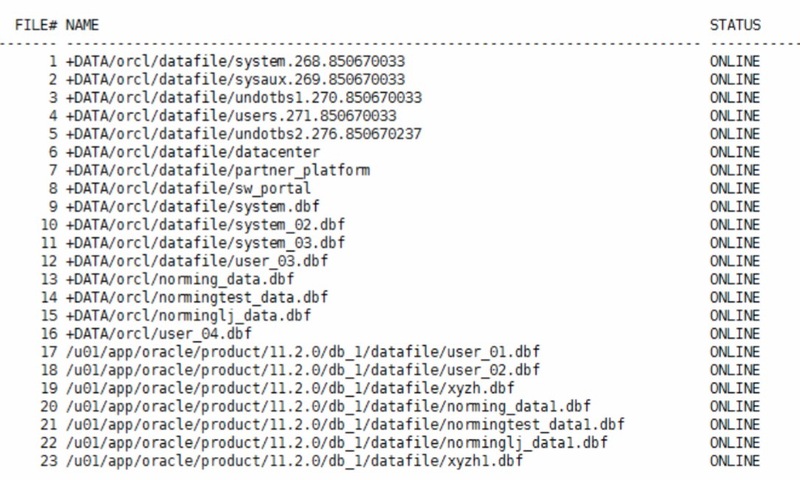 File #22 found in data dictionary but not in controlfile. Creating OFFLINE file 'MISSING00022' in the controlfile.